General Hospital (GH) spoilers tease that Sam (Kelly Monaco) will find herself struggling more than ever. After nearly dying with Jason (Steve Burton), Sam couldn’t hold back her feelings anymore. She poured her heart out and revealed her deep love for him. Sam admitted she never wanted Jason to stay away. She may have pushed for that, but she was secretly hoping for any little moments they could steal. You can bet that they’ll bump into each other even more often from now on. This love triangle is certainly heating up! General Hospital spoilers say Sam will confide in Alexis (Nancy Lee Grahn) next week. She may fill her mom in on just how torn she is. Sam’s been lying to herself and everyone else for months. 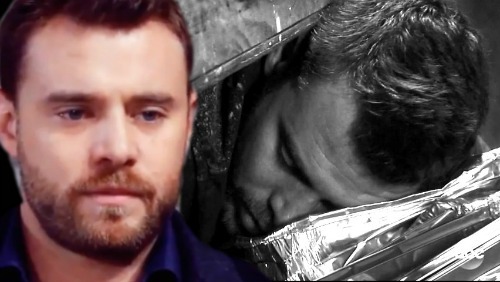 She loves Drew (Billy Miller), but he doesn’t have her whole heart. Sam and Drew’s marriage could be rocked soon enough. Will Sam eventually put her own happiness first? If she continues to focus on protecting Drew, she could resent him at some point. Sam hasn’t really been able to choose yet. She stuck with Drew because she couldn’t bear the thought of hurting him. Sam deserves the chance to truly weight her options and pick the man that’s right for her. At the moment, Sam could be leaning toward Jason. They’re obviously longing for each other, so Sam may not be able to avoid a reunion indefinitely. There’s only so much temptation she can take. It’s possible Sam will cheat, but honesty might be a better tactic. Sam should tell Drew what’s going on and figure out her next move. She may determine that a split is for the best. Sam needs to explore her lingering feelings for Jason and see where this leads. Even if it doesn’t work out, at least they’d know they tried. Sam shouldn’t have to wonder what might’ve been. As a GH supercouple, Jason and Sam deserve one last chance to be together. Will “JaSam” fans get what they want? General Hospital spoilers suggest that some heartbreak could be headed Drew and Sam’s way, so stay tuned for all the drama. We’ll give you updates as other news comes in. Stick with ABC’s GH and don’t forget to check CDL often for the latest General Hospital spoilers, updates and news.